Co-founder Kate Khatib said the bookstore’s current location at 30 W. North Ave. will shut its doors at the end of June. The establishment will be closed during July and August as staff members prepare to move to the site that formerly housed Spike & Charlie’s Restaurant, next door to Baltimore Theatre Project. The new bookshop and coffeehouse hopes to reopen at 1225 Cathedral St. in September. 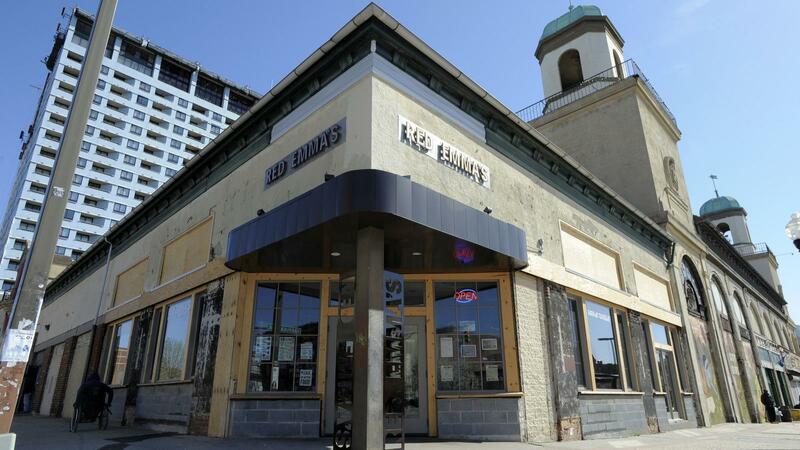 For most of its history, Red Emma’s was located at St. Paul and Madison streets, but in 2013, it moved to a much larger space in the Station North neighborhood. She said the new facility will allow Red Emma’s to double the size of its bookstore. A seated dining area will be installed that will allow the cooperative to add a plant-based dinner menu in addition to its current mostly vegan breakfast and lunch offerings. And though Red Emma’s occasionally served alcohol in the past, for the first time the establishment on Cathedral Street will have a full bar. In addition, Khatib said, the establishment plans to increase its staff from 25 to 35 in the next six months.